Help us reach our goal of $10,000 for Hurricane Harvey relief in the Coastal Bend! 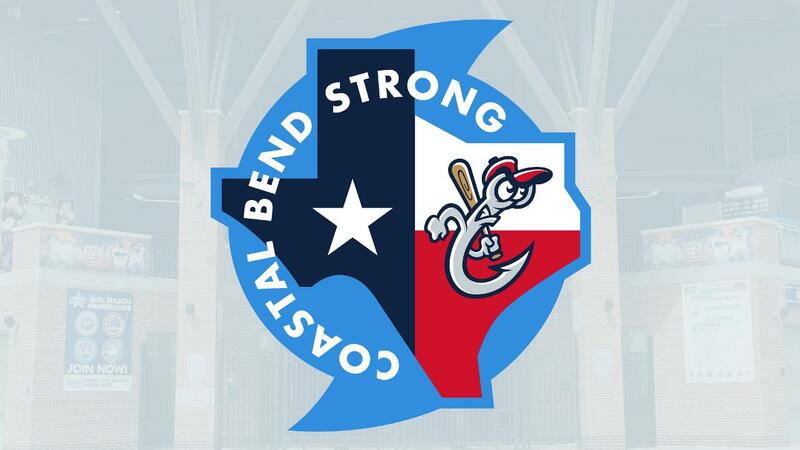 The Corpus Christi Hooks are meeting residents at their point-of-need by partnering with local and national charities in the aftermath of Hurricane Harvey. The devastating Category 4 storm made landfall at Rockport, Texas, on Friday, August 25, 2017. We annually work with these communities to promote high school baseball by providing Whataburger Field for interschool competition. The Hooks also recognize standout amateur baseball and softball players, teams, and coaches in conjunction with Hooks events. In the coming days, charities will determine the greatest need(s), and we want to be prepared to assist with funding. *Jim Crane, the Astros Ownership group, and Astros Foundation pledged to donate $4.0 million to hurricane relief efforts. *Proceeds from the Share2Care 50/50 raffle for the remainder of the season will be donated to the American Red Cross Houston relief efforts targeting hurricane victims. *Fans wishing to assist in the Hurricane Harvey relief efforts can now visit YouCaring.com/AstrosHarvey to donate. Proceeds will benefit the Astros Foundation's hurricane relief efforts. *Additionally, Major League Baseball and the Major League Baseball Players Association announced that those parties will jointly donate $1.0 million to various relief efforts for the damage throughout the state of Texas created by Hurricane Harvey, including the American Red Cross. *The Ballpark of the Palm Beaches, the Spring Training home of the Astros in West Palm Beach, Florida, also assisted the hurricane relief efforts. They teamed with Crane Worldwide to get needed supplies to Houston. The staff at The Ballpark of the Palm Beaches accepted donations for the hurricane victims. Crane Worldwide provided transportation of the collected items from Florida to Houston.